ZombieCon ‘09. NYC Zombie Crawl. Hot Zombie Beauty Pageant. This weekend’ll kill you. Crawl, lurch and stumble this weekend. Drinking bloody marys while the sun’s high in the sky may make you feel like a zombie, but on Saturday, you can look the part, too: Join Zombiecon 2009 as hundreds of New Yorkers hit the streets in their best undead getup, lurching from bar to shop to braaaains. $10 says a “Thriller” zombie dance erupts before 10AM. Sign up for details at zombiecon.com. The NYC Zombie Crawl’s tagline -- “When there is no more booze in hell, the dead will walk the earth” -- pretty much sums up what goes on at this event, which starts out at Beauty Bar near Union Square at 5PM, moans and oozes through some of the finer watering holes of the Lower East Side, and then winds up back at Beauty for an open bar between 10 and 11PM of Domaine de Canton ginger liqueur (because the undead like ginger? ), eerie performances and screenings of campy horror favorites. And! 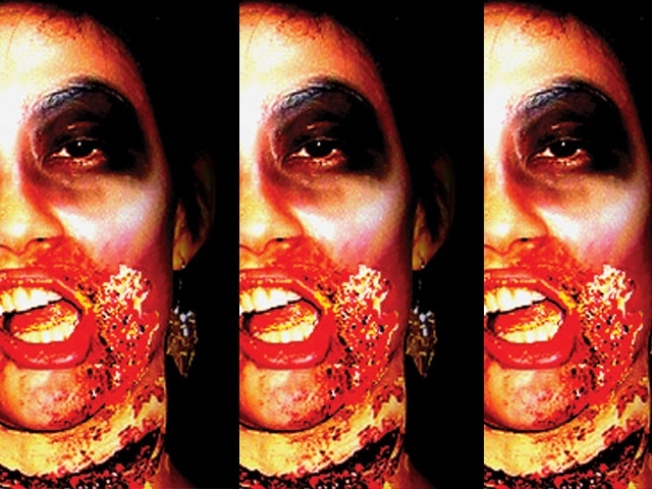 The Zombie Crawl night will end with the annual Hot Zombie Beauty Pageant (10PM) the winner of which nets $150. So look sharp, kids – and by sharp, we mean like an uninterred corpse jonesing for human flesh. More info at beautybar.com.